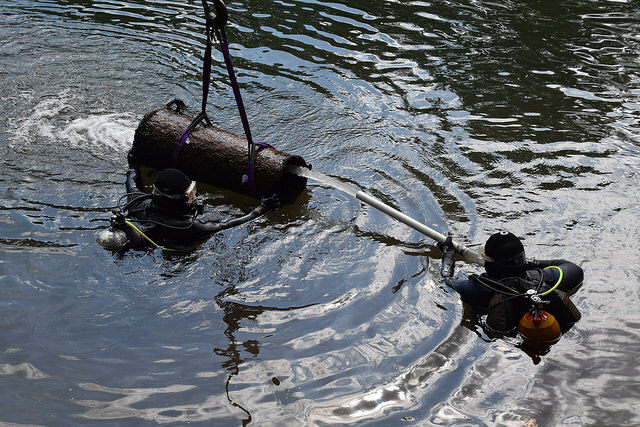 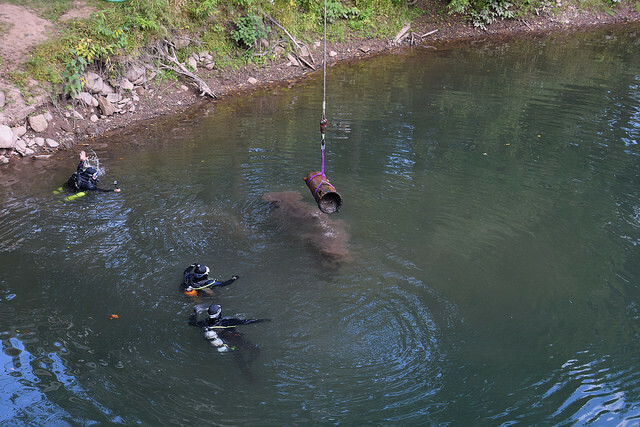 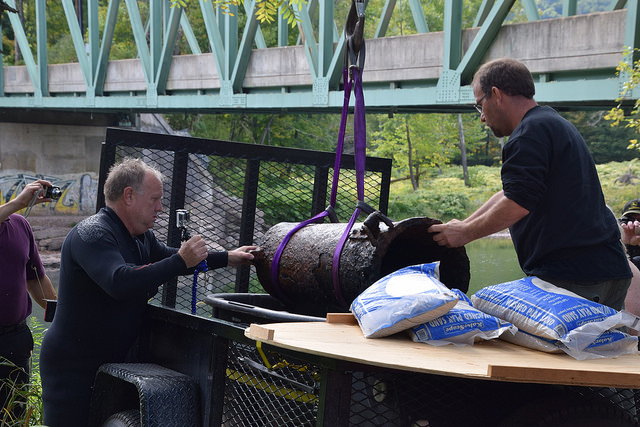 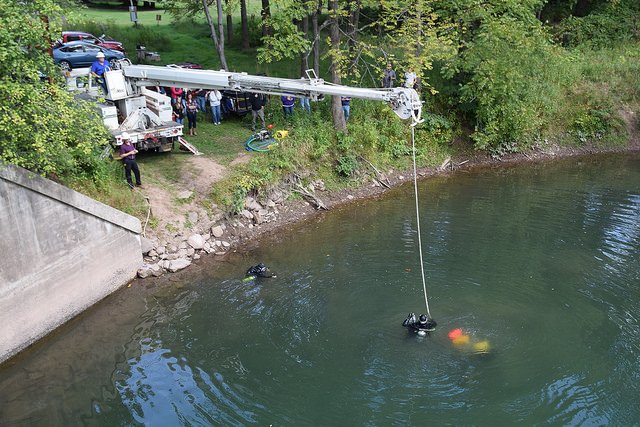 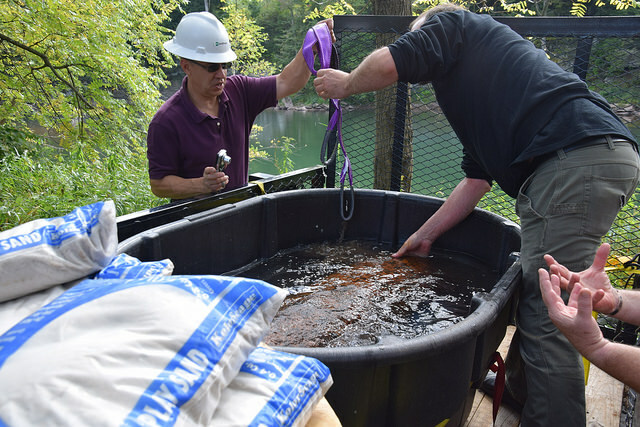 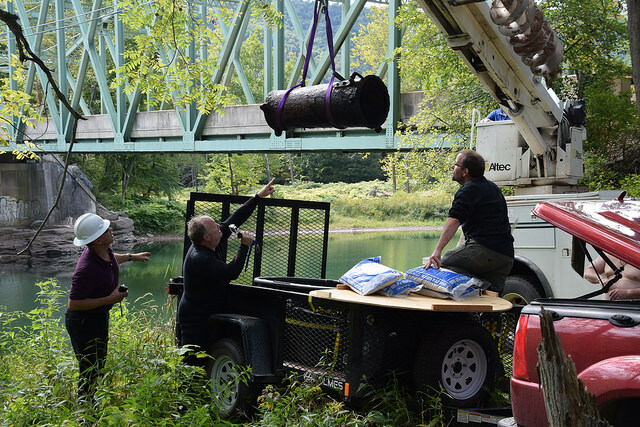 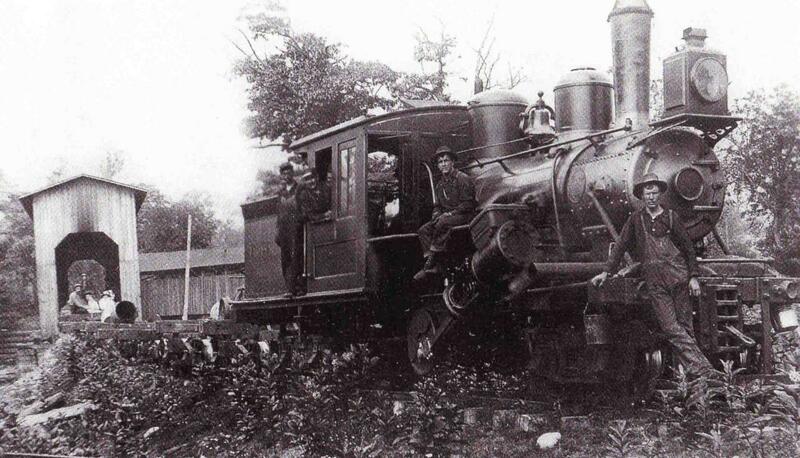 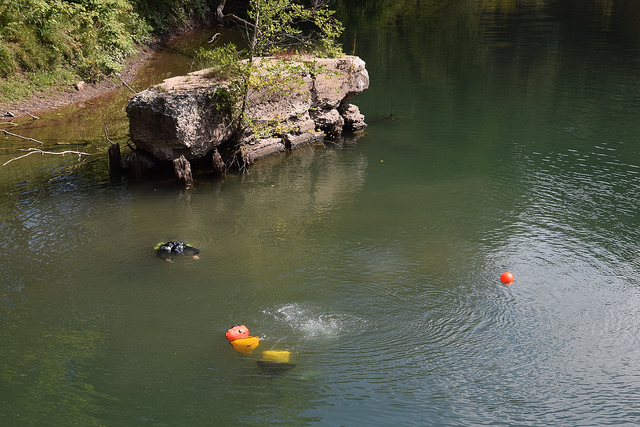 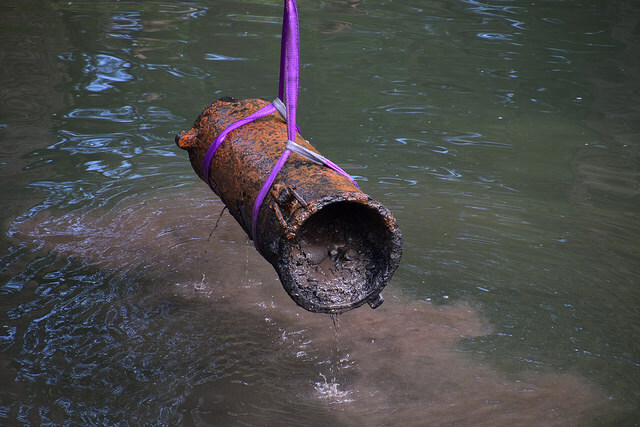 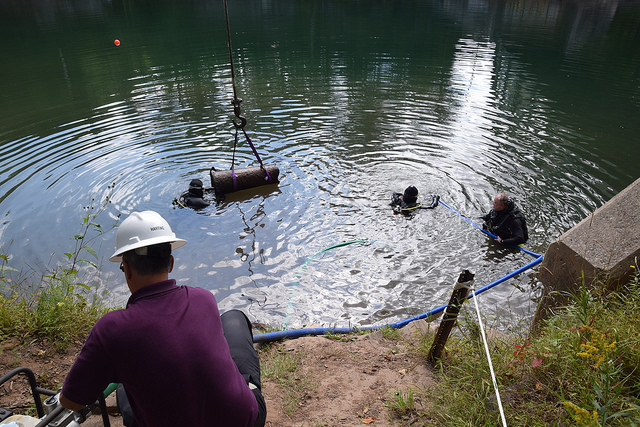 "The Dinky in the Drink"
On September 19, 2014 the smokestack from Engine #4 was recovered from the Loyalsock Creek in Hillsgrove after being submerged since 1906. 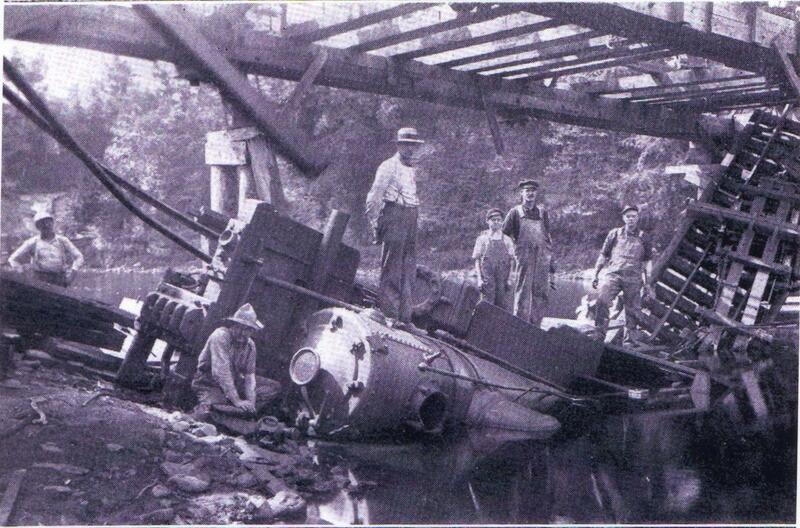 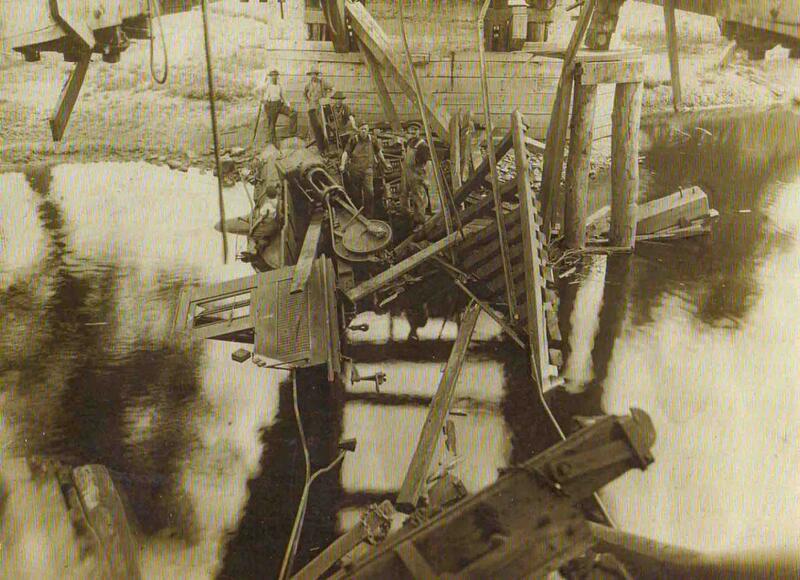 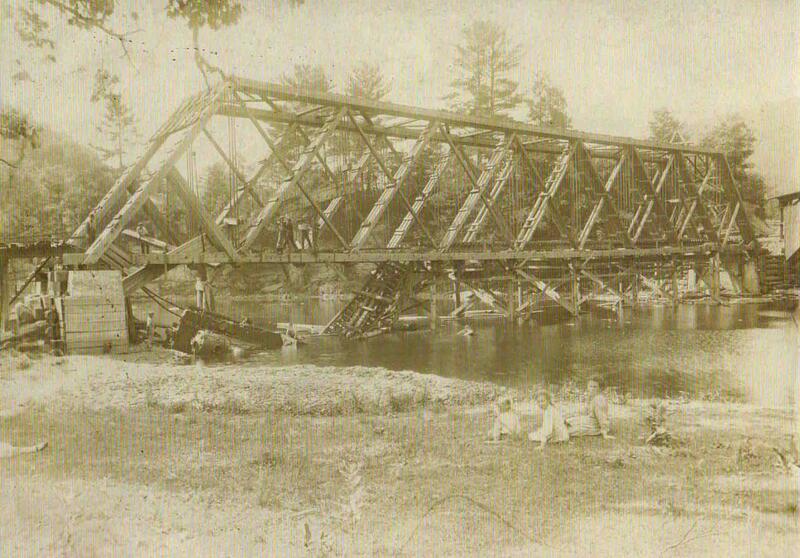 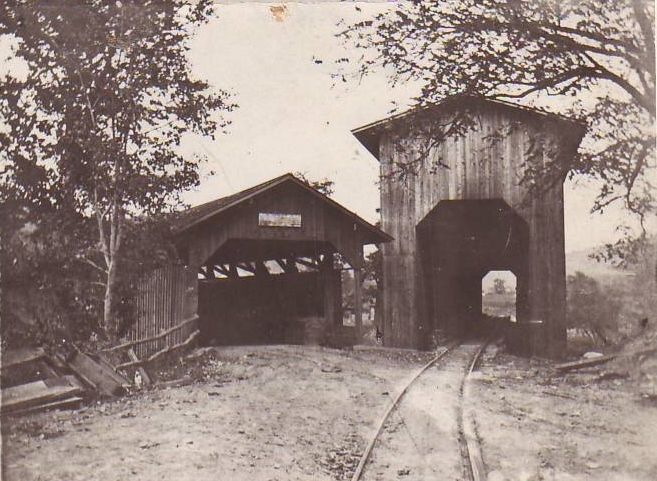 Photos from the long ago accident and the recent recovery are below; read the full story here. 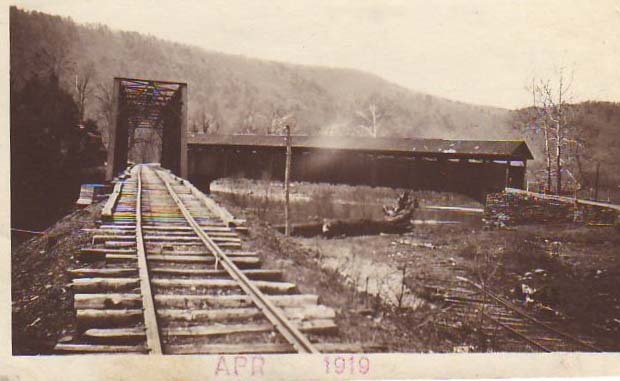 Click here to see past photo galleries.